How an accountant can help you and your business. If you are a first time business owner it might cross your mind to skip hiring an accountant and simply keep your own books, and file your own taxes. There are a lot of different computer programs that will help you do business record keeping and things like that, so why go to the expense of hiring an accountant? When you are first opening a business you will have several things you need to do that you may not have considered. This includes deciding the type of business structure that you have. An accountant can explain to you the benefits and drawbacks of fling a sole proprietorship, an LLC, a corporation, or a partnership. Help you to learn how to keep expenditure records that are compliant with government regulations. They can explain how to keep your business and personal expenses separate if your business and home are in the same location. They can advise you on how to set up the right business bank account so you do not waste money. After you have opened your business then you will have to keep track of different items. You must keep impeccable records so that at tax filing time you have no complications. You must also know how much money you have to spend, how much money you need to retain for future expenditures and how much money you need to invest. One of the main things that an accountant can do for a business at this stage is to help them to keep payroll records. The payroll has to be done correctly so that you are compliant with all of the government regulations, and so your employee has an accurate record of what they have earned, the taxes they have paid, and all of their details. These business professionals can also help you determine if you should list a person as an employee or as an independent contractor. The business owner does not have to hold taxes out on an independent contractor, but there are strict rules defining whether a person can be considered an independent contractor or an employee and if you pay them in the wrong category you could get into a lot of trouble with the internal revenue service. Private tax payers pay their taxes in April but business owners are supposed to pay estimated taxes each quarter of the year. A professional that has experience with tax laws, and business book keeping practices can help you to pay the proper amount of estimated taxes each quarter. These professionals can help you to file the right forms and documents so that you do not pay taxes on the items you buy to do your business with. They can help you pay your sales taxes on time and to get all of the proper permits for the type of work you do and the type of business you own. Once you have opened and began to do business your accountant can help your business to grow and flourish. You will be occupied with doing what you do best, and the accountant can help you to take care of all of the paperwork, business forms, and documentation that it takes to keep a business in operation. During the growing stages an accountant can help you to keep track of the supplies that you need to buy, and the cost of operating your company. They can help you prepare the paperwork you need to show how much your company is worth and the amount that you could possibly make in the near future, so you can apply for bank loans, and financial assistance for business growth. They can help you determine if you need to raise prices on your merchandise, or if you are making an adequate profit at the price you are charging. 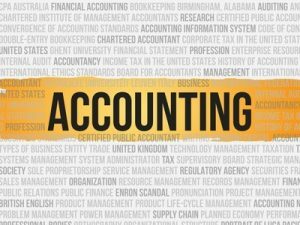 You may not have to have an accountant in order to operate a business, but if you want to operate a business that is successful then you want to hire the accounting help. If you want to have a business that allows you to have a good quality of life, time to enjoy life, and the freedom that you think being a private business owner should provide, then you need someone to help you keep your books correctly. An accountant crunches the numbers so you are not tied to a desk for hours after the business closes each day. You are able to leave the office at the end of the day and know that the business records, paperwork, and company documentation is taken care of.